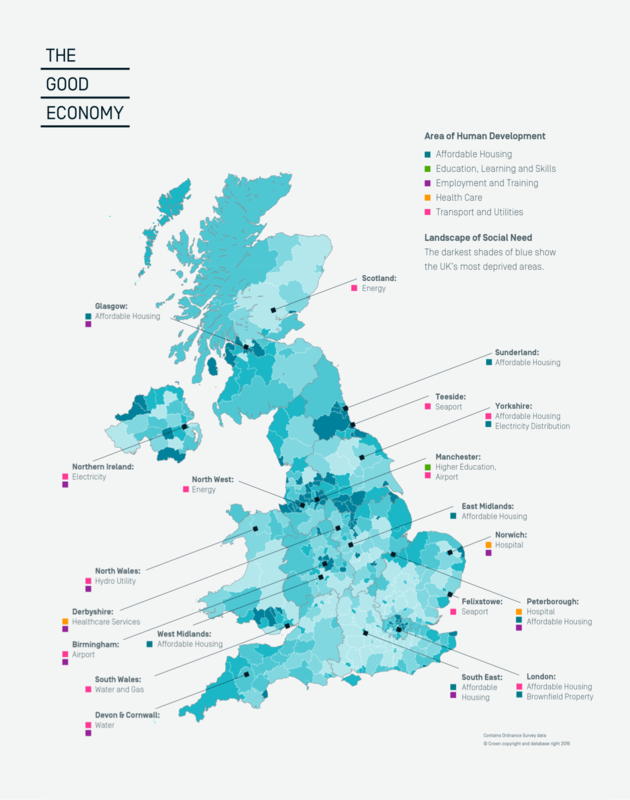 The Good Economy requires businesses and investors to collaborate with government and communities to ensure that good jobs, good housing, good education and good health care are accessible to all – nobody is left out or left behind. 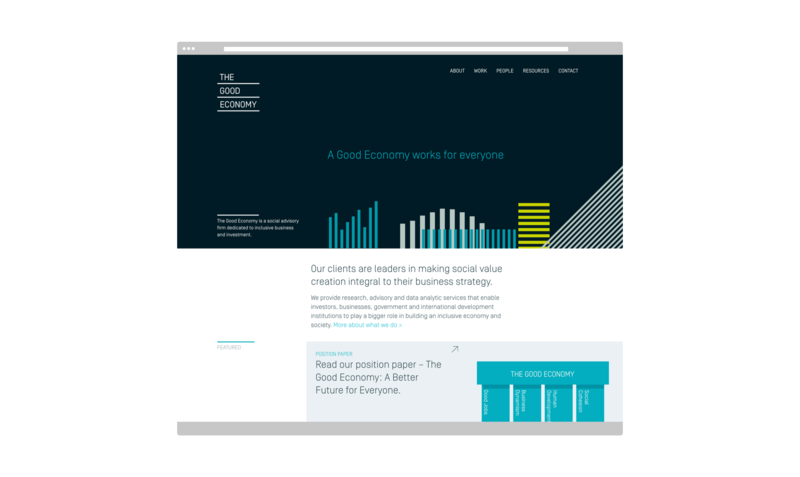 To help make this pioneering vision a reality we are working together to show business leaders the social value of their investments and their impact in an inclusive economy. Their identity forms the building blocks for all communication, and the design of the web platform gives them the foundations to grow. 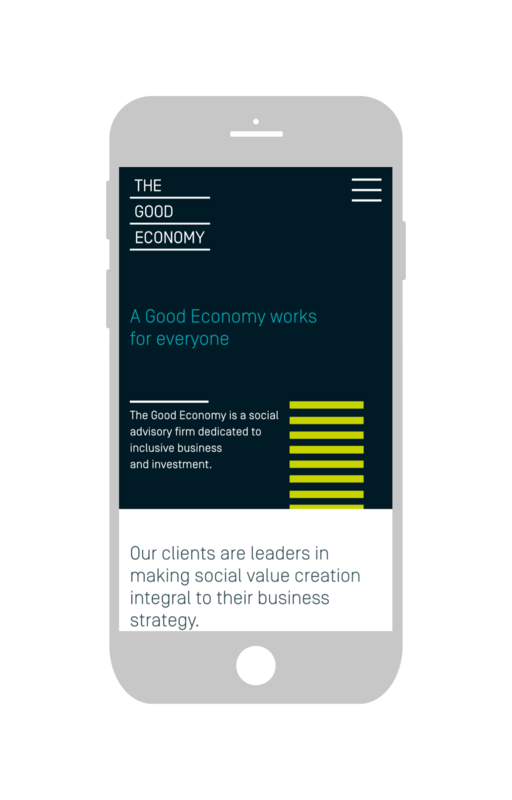 The Good Economy essence is defined through the structure of the logo, a reference to the triple bottom line of conscious business – profit, people, planet – a visual equation for creating social value. 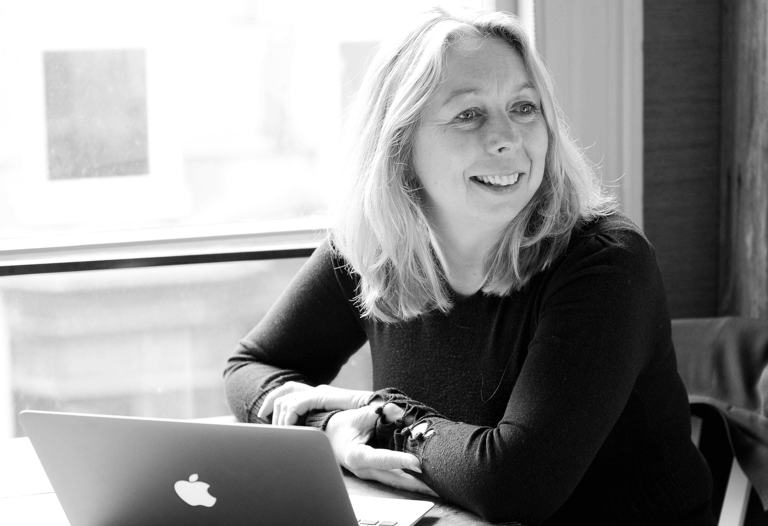 "Thanks to their ability to really listen and their emotional intelligence, Form Native ‘got us’ right from the word go. This meant we quickly developed an effective working relationship built on mutual trust and respect. Form Native helped us define our values and core messages in ways that get to the essence of what we’re about. This led to a brand and website design which has given us the confidence and platform to communicate what we do effectively and supported our business growth. They are also great people and fun to work with!"